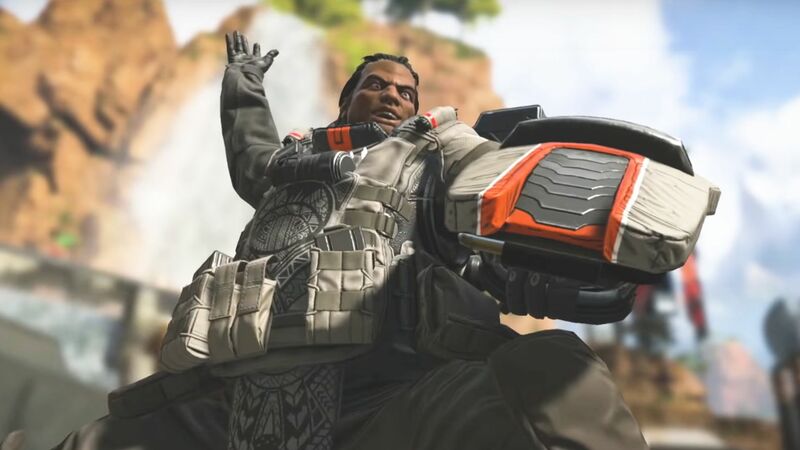 To become an Apex Legend, players must learn everything about the eight characters and their abilities. A slow and steady tank character that’s built like a brickhouse, Gibraltar’s abilities are all about setting up in a single area and wearing down opposition. While great in the late game, especially as more squads are drawn closer together, if you need to run or move about a lot then Gibraltar arguably isn’t the best character. Learn how to use him, though, and you’ll be a great assist to your allies in securing that precious battle royale victory. Gibraltar’s passive ability spawns a small shield in front of him whenever he looks down the sights of his weapon. Your main aim with this ability should be to draw enemy squads towards you, using your huge Gun Shield to block most projectiles and soak up hits while your squad flanks the enemy from the side. The shield won’t make you invincible though, so make sure you are constantly ducking behind cover while this tactic or else you might find yourself out of the battle before it has even begun. Gibraltar can drop a massive dome shield at any given time to protect himself, his allies, or defend an area. It’s massive in scale and is perfect to use in a pinch. Some players also use the shield to give temporary cover from an enemies flank while his allies make an escape. The dome doesn’t last forever, though, so make sure you position it well to get the full effect. You can use it in tandem with other legends’ abilities, such as Lifeline, to heal your squad against opposing enemy fire or to revive a downed teammate in distress. Just remember that the dome shield is a two-way streak. While no one can attack you while you are in it, you can’t attack anyone outside of it either. So make sure you use it wisely and don’t turn yourself into a sitting duck just waiting for the shield to expire to be left in the open. Gibraltar’s ultimate calls down a deadly concentrated mortal strike on a marked position that could easily wipe out an entire team in an instant— if it wasn’t so slow to come down and set off. Unlike Bangalore’s bombardment ability that gradually fires more forward, Gibraltar’s bombardment fires all in the single area where you throw the ability’s grenade, making it perfect to use if you find yourself surrounded. One of the best things to do would be to drop your shield in a confined space out in the open and throw the bombardment grenade at your feet. This will keep yoou protected from the ongoing ultimate ability while giving your opponents a choice: Run towards your shield, giving you a chance for a clean kill, or run away, giving your allies a chance to escape. The combination of these abilities, and your quick thinking, can be all the difference in those clutch team fights.